As I write this I am currently in the middle of 10 sneezes in a row, or a sneeze attack as I like to call them. I have the dreaded summer cold. In the winter months I expect to get at least one cold, it happens every year, but when summer rolls around I never think of the possibility of getting sick. Well that all changed two mornings ago when I woke up with intense sinus pressure, a sore throat and a pounding headache (from the sinus pressure). I’ve upgraded to a cough and runny nose. My late night work schedule and inability to sleep more than 6 or 7 hours afterwards has finally taken its toll (plus working in an area where there are thousands of people every day). I’ve been waking up in the middle of the night for more medicine and because I have to lay a different way to actually breathe (breathing is important right?). 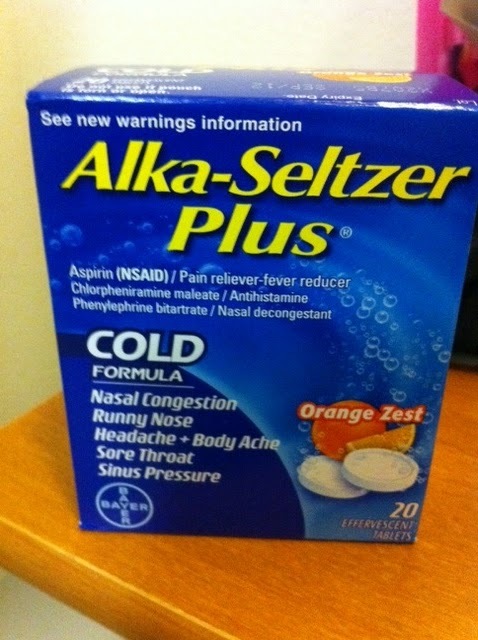 Alka – Seltzer Cold, orange zest flavor is where its at, it reminds me of my daily orange soda. It helps but only lasts 4 hours. 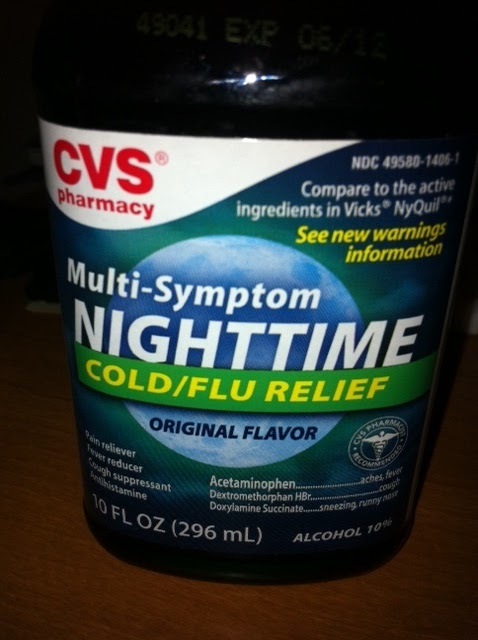 The CVS version of NyQuil, it does the trick for me every time, I just hadn’t picked any up yet and I hope this will help me get the sleep my body needs to get better. I am off to finish the 2nd part of my pro paper that is due tonight, ever the procrastinator I am with school work. But don’t worry (I’m talking to you Mom) I just have a couple revisions and its ready to go! I’m looking forward to only working a half day tomorrow, and it’s later in the day, so I can sleep in and relax a little bit. Have you ever gotten a summer cold?? What cold medicines work the best for you? ?